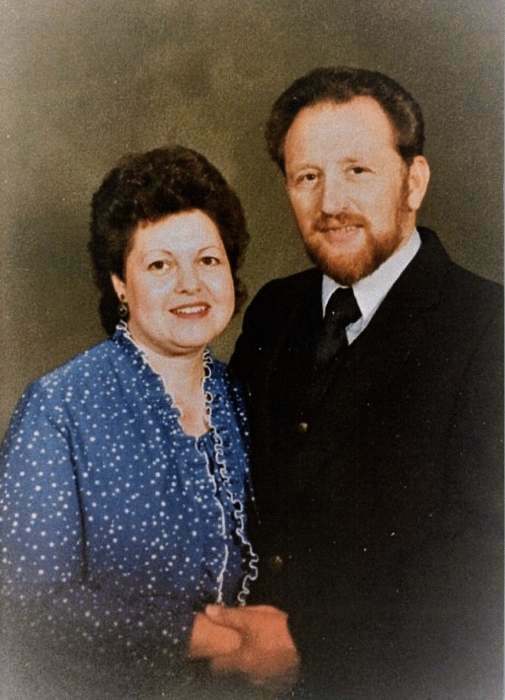 Jeanne Harrop Polson, age 77, passed away peacefully at her home surrounded by family on March 29, 2019. Jeanne was born April 23, 1941 to Frank M. Harrop and Arlene Harrop (Clark) Brown in Ogden, UT. She was a graduate of the Class of ’59 Ben Lomond Scotts. She married Larry Dale Polson February 20, 1969, and they were later sealed at the Ogden UT Temple March 9, 1974. Larry and Jeanne celebrated their 50th anniversary before she left us to return home to our Heavenly Father. Jeanne put her heart and soul into being a beautiful wife, caring mother and later a proud grand-mother before she became ill at the young age of 62. Some of her greatest joy came from spending time with family and friends playing games at the card table, taking scenic drives that often included picnics and nature walks, camping with family, working with ceramics and paints, crocheting and making candy at Christmas time for her family and neighbors. Jeanne was especially talented at sewing, cake decorating and making thoughtful gifts for her friends and loved ones. She loved music, she played the piano, and she had the voice of an angel. Jeanne also loved working in her flower garden, beautifying her surroundings, indoors and out. Her gifts and talents, and loving service were a blessing to all who knew and loved her. She will be greatly missed here on earth, but we are comforted by knowing that she has returned home to many loved ones who have passed on before her. Jeanne is survived by her loving husband, Larry Polson, her children Ricky (Nicki) Polson, Cindy (Butch) Wheeler, Erick (Shanna) Long, Sherry Polson, Jeannette (Cody) Edwards, Diane (Tyson) Green; 21 Grandchildren; 60 Great Grand-Children; her brother Steven Harrop; her sister Carol (Gene) Poncelet; and her sister-in-law Elaine (Dennis) Harrop. She was preceded in ;death by her brother, Ron Harrop; her mother Arlene Harrop (Clark) Brown her step-father Lloyd Brown; her brother Dennis Harrop; her step-brother Andrew, and her father Frank M. Harrop. A special Thank You to her hospice nurse Lisa that cared for her this last month, the hospice on call nurse who came the morning we lost her to help get us through the process, all those from Leavitt’s Mortuary who have walked us gently through this process, the many family, friends and neighbors who have supported her and Larry through all these years, and the South Weber Cedar Bench Ward for providing luncheon after service. Graveside services will be held at Ogden City Cemetery Tuesday, April 2nd at 2 pm with luncheon served at 3 pm at the South Weber Cedar Bench Ward, 1814 E. 7775 S., South Weber, UT.